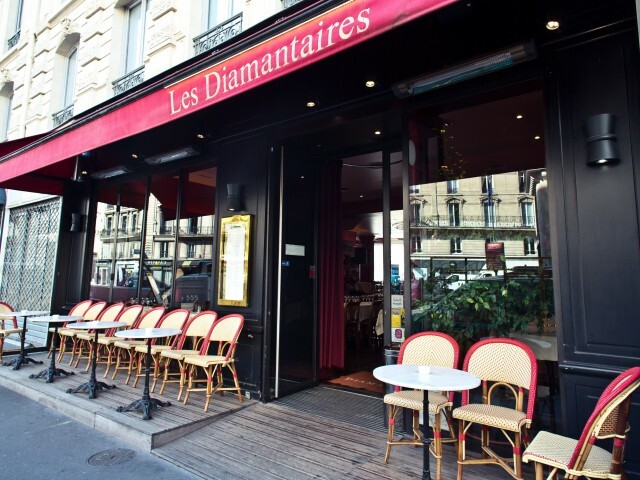 The restaurant The Diamond, a mythical address the right bank of Paris, in an area once marked by the gem trade. Appointments of diamond dealers, jewelers and celebrities, this, dean of the Armenian-Greek restaurants in Paris created in 1929, satisfies the taste buds of locals and insiders quality cuisine, varied thanks to its composed rich map Lebanese Armenian and Greek dishes typical oriental wild preference to the stalls of fresh fish, deliciously prepared. This restaurant is proven for 80 years this year, opens the opportunity for its cuisine Greek cuisine and Armenian, frank and generous with his leaps products served in a cozy and warm atmosphere.